Assignments can give instructions, describe an exercise, present a problem, set out rules, propose a game, stimulate a process, or simply throw out questions. 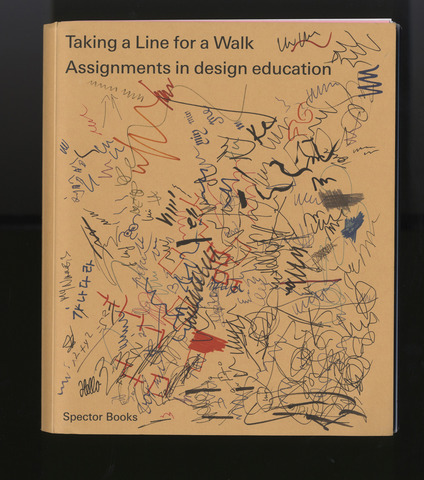 Taking a Line for a Walk brings attention to something that is often neglected: the assignment as a pedagogical element and verbal artefact of design education. This book is a compendium of 224 assignments, edited by Nina Paim and coedited by Emilia Bergmark. A reference book for educators, researchers, and students alike, it includes both contemporary and historical examples and offers a space for different lines of design pedagogy to converge and converse. An accompanying essay by Corinne Gisel takes a closer look at the various forms assignments can take and the educational contexts they exist within. Taking a Line for a Walk derived from an exhibition of the same name at the International Biennial of Graphic Design Brno 2014. Robert Sollis contributed a section to this book.